Can a solo record by a drummer be truly absorbing? As vital as drumming is to the world of metal, I was sceptical of the merits of this kind of thing. The main draw for me is that George Kollias is the Greek sticksman for my favourite death metal band, Nile. He is undeniably talented, forging a brutally precise style that is crushingly heavy and yet technically astounding. 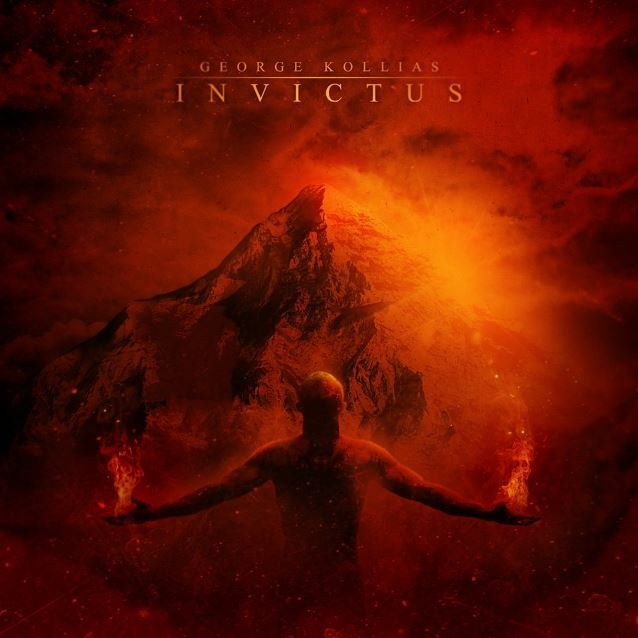 His solo record, ‘Invictus’ is here, and boy does it turn out that Kollias is ludicrously talented at pretty much every instrument. ‘Invictus’ is a raging maelstorm of death metal, underpinned at its core by Kollias’ staggering drumming performance. Each track showcases his vast talent, blasting, filling his way through an epic score of Middle Eastern death metal. 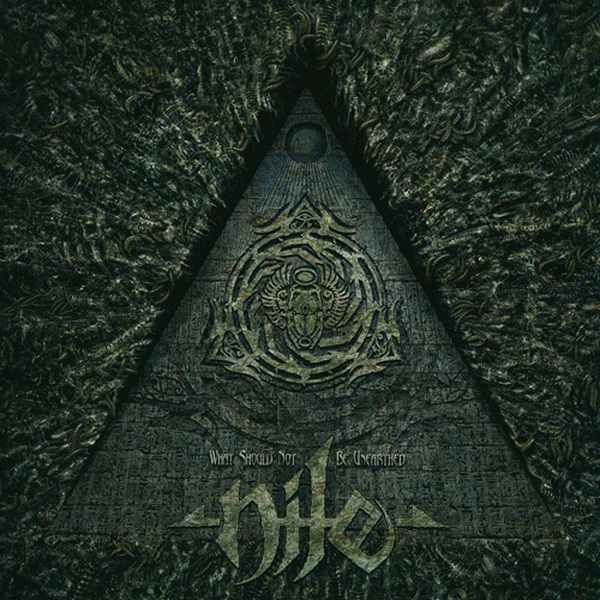 It has an undeniable link to Nile’s innovative mix of technical brutality and ethnic instrumentation, but it lacks that magic touch that Sanders et al brings to Nile’s material. Not that you should be disappointed that it isn’t as good as Nile; almost nothing is. Kollias is a drum teacher in his life outside Egyptian themed death metal barrage, and I can imagine he must be one of the finest there is. He’s certainly one of the finest in all of metal, and ‘Invictus’ is proof. The relentless battering of ‘The Passage’ is some of Kollias’ hardest and heaviest drumming on record. He is free here, not restrained by some of Nile’s more esoteric moments. The dense thunder of ‘Aeons of Burning Galaxies’ assaults the senses, while ‘Shall Rise/Shall Be Dead’ comes across as a more streamlined Nile, without the dense technicalities. ‘Invictus’ is a triumph for solo records. It is a straightforward technical death metal record that nonetheless excels in all areas. The drumming is, understandably, exemplerary, but Kollias knows how to write a death metal song that loses none of its violence but still has those little moments of atmosphere that sets it apart. His riffs are razor sharp, catchy and the vocals are sick too. Excellent! This week and next on the Killchain Hour at Live Funeral Radio is a bit strange because they’ve been built in tandem. Normally I build the playlists in a single session, usually on the Monday night while listening to my iTunes, getting ideas. We’ve been discussing some theme nights between the hosts, such as the German thrash night I did, or the Swedish night that Steve did on Friday there. There’s talks about having a Lemmy tribute night sometime soon which would be excellent, and also some covers shows. I’m doing covers next week, and have already assembled the list in advance. It’s got some killer tunes, but I won’t spoil it yet. This is a revelation of an ongoing project I have been working on for a while now. History is important to metal, in many shapes and forms. History is also very important to me. It is what I got my degree in at university, it was the subject I was best at at school, and it is a hobby of mine. I like to seek out the lesser told parts of history, the parts you don’t learn about at school, the parts that have no bearing on my homeland or my life. These are the things that interest me. It seems to be a theme in my life, as my music is another place where I search for the obscure, the less popular, the different. Thankfully, all those things are ably found with help of the big bad web. Metalheads revere the HISTORY of their genre; the older bands that laid the way for the new bands that appear every day. Bands like Mercyful Fate, Iron Maiden, Judas Priest, Venom, Death and of course, Black Sabbath. The latter being the most important of them all. But what unites many bands is their appreciation of human history, of events long past. In many cases it is war, be it the World War II themed death metal of Hail of Bullets or the juggernaut of Bolt Thrower. War is a central theme through hundreds of metal bands. Inspiration from people of great evil from human history is another common theme, be it the malicious Blood Countess Elizabeth Bathory, the ‘Hangman of Prague’ Reinhard Heydrich or the galloping butcher Attila the Hun. Tales of their roles in history are tied to metal songs, and there are many more I haven’t mentioned. But it seems that HISTORY as a subject is important in many ways. Our most famous examples of such bands include Iron Maiden, Sabaton, Hail of Bullets, Bolt Thrower, Eastern Front and so on. But numerous other songs with some rooting in a historical place, time or figure exist. I want to examine how important it is as a form of expression. How these times in the past are considered worthy of immortalising in a song. What bands find in the themes or symbolism of the past that is revelant to their particular message. As I have started this research, it amazes me how frequently historical references appear in metal songs. They are everywhere, from the blasting Marduk to the psychedelica of The Meads of Asphodel; from the fist pumping heavy metal of Saxon to the howling death of Nile. This riff of the moment is brought to you by Nile, the most brutal and well researched death metal band on the planet. There are so many Nile riffs I could chuck into one of these posts, but there is one that, for me, stands above all that Karl Sanders has ever put through his custom 7 stringer. ‘Eat of the Dead’ is on Ithyphallic, one of Nile’s lesser appreciated records. Admittedly it was sandwiched between the jaw-dropping Annihilation of the Wicked (2005) and the career-defining sweeping epic that is Those Whom the Gods Detest, a review of which will be forthcoming. But it was another flawless slab of ancient, technical brutality, injected with vast swathes of ethnic instrumentation and meticulously researched tales of Egypt. Plus, with ‘Papyrus Containing the Spell to Preserve its Possessor Against Attacks from He Who is in the Water’, it probably has the Nile song with the best name. ‘What Can be Safely Written’ and ‘Even the Gods Must Die’ are essential Nile tracks. But it is ‘Eat of the Dead’ that has the key riff. It starts at 4:32, after a bruising middle section that enhances the speed of the song by 400%.